How did I not think of this? Genius idea from the inter webs that I have somehow missed. 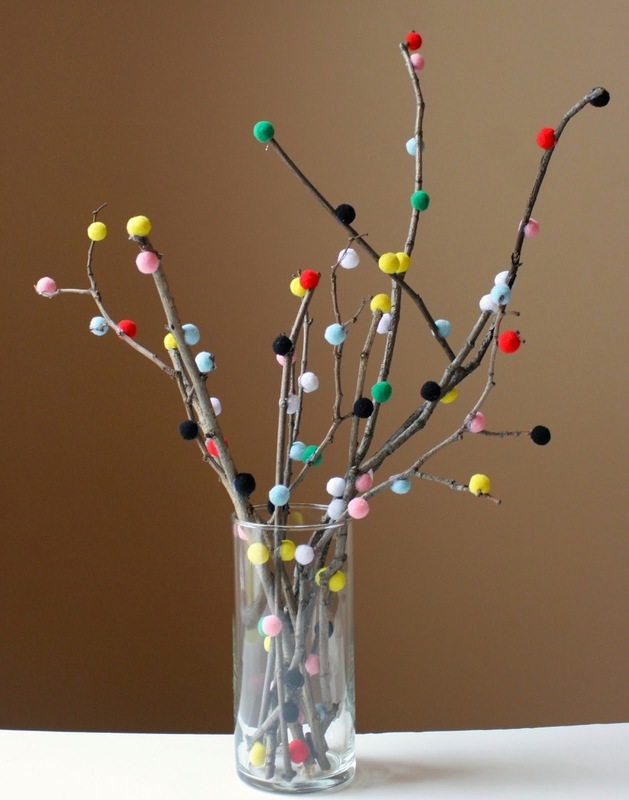 Pom pom + branches = cheap and whimsical decor. This particularly lovely example from The Surznick Common Room. If you wanted to be really crazy, you could buy a huge sack of pom poms to pomify your backyard! I think I'll save that idea for a future Easter egg hunt. Great idea! Gotta brighten up my living room.